During BlizzCon, Mitch and I sat down with WoW Senior Creative Director Alex Afrasiabi and Technical Director Patrick Dawson to talk about Battle for Azeroth. We covered the history of Saurfang, the division over Sylvanas, and their proudest moments of the expansion so far. Oh yeah, and the possibility of story-mode for raiding. And a third faction. Or maybe just one. Read on! 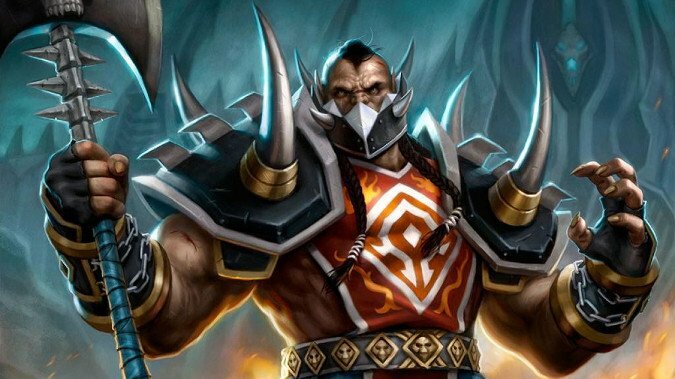 When asked about how Saurfang was created and developed over multiple expansions Afrasiabi explained that he created Saurfang for vanilla WoW. Originally, Afrasiabi just need a badass orc to shout your name when Onyxia’s head was turned in and the Rallying Cry of the Dragonslayer buff was applied. Later, when the Gates of Ahn’Qiraj event was being developed, he needed an NPC to lead the resistance to open the gates and Saurfang fit the bill. That’s when all the “Cleave Everything!” memes got started: Cleave had a three-target limit, but Saurfang’s Cleave could hit ten targets. When Wrath of the Lich King was in development, the story team needed a father figure for Garrosh and they wanted an old war veteran. 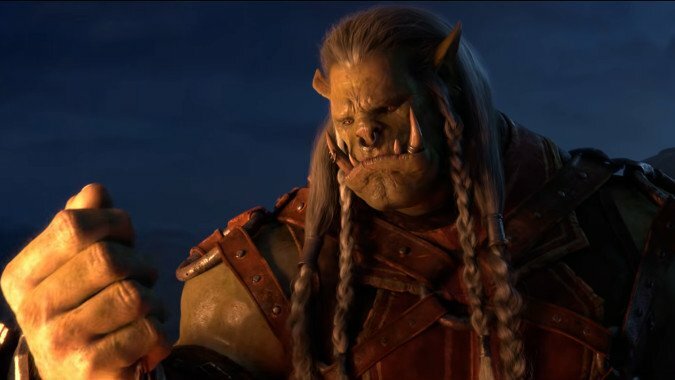 Saurfang was a clear choice to give Garrosh the famous speech about sacrifice and duty that came down to “What kind of Orc are you?” It was in Legion that the team decided to make Saurfang a more prominent character and started laying down the groundwork for his role in Battle for Azeroth. When enough of those iconic moments are put into the game over time, Afrasiabi pointed out, eventually they have what they need to create a legend. That is how most of the well-known characters in WoW are created: holistically over many expansions. For the record, we asked about the future of Saurfang. 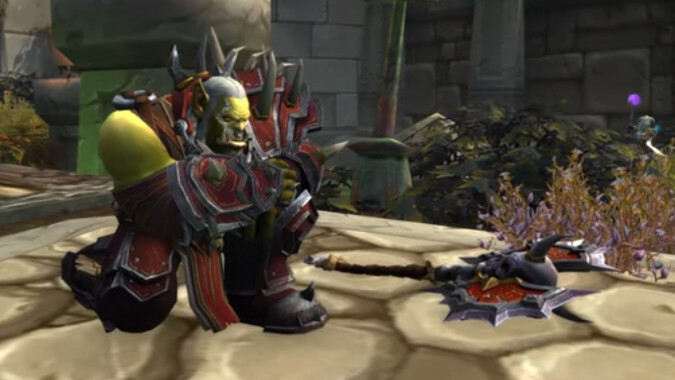 Would the war veteran would lead the Horde or would he try to dethrone Sylvanas and then choose a successor so he can go to that retirement he craves? As you can imagine, we were told to keep playing the game to get our answer. You can’t blame us for trying! An image surfaced during BlizzCon of Sylvanas holding the Shadow Priest class artifact weapon, Xal’atath. This has raised many questions especially given the weapon’s link to the Old Gods. 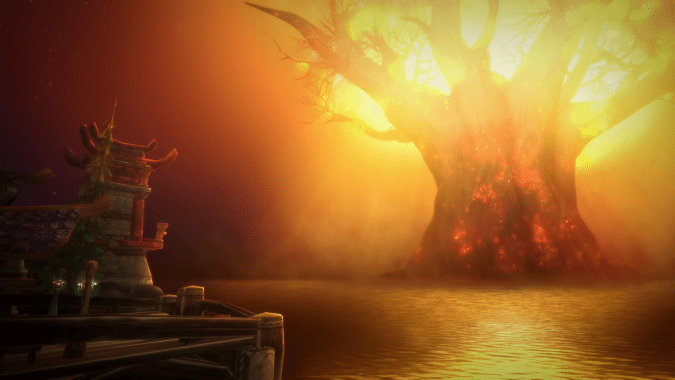 When asked, all Afrasiabi had to say was in Patch 8.1 Tides of Vengeance, “you will get to learn what you think you saw, whether that’s true or not.” He also mentioned that portions of this may have already been datamined if you wanted to look into it early. We brought up the desire of some players to explore the story content of raids without having to deal with the rushed (and sometimes toxic) nature of LFR. Afrasiabi saw that as two different issues: how to get non-raiding players to interact with raid content to enjoy the story and how LFR is rushed. 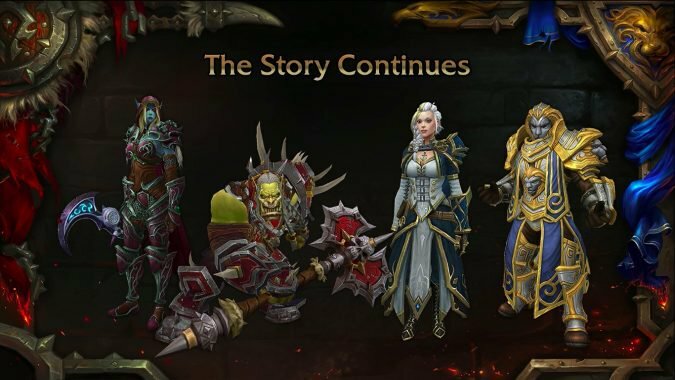 He said as development on WoW continues they are looking for more ways for more players to have access to all the story available. We brought up the idea of a single-player scenario version of raids for story lovers, but he didn’t feel like that was the right solution. Many of the story points are tied to the fights and those fights are for large groups of coordinated players. But he did confirm they are thinking about other options. Both Afrasiabi and Dawson mentioned some of the issues from Battle launch they’ve been addressing (Azerite Armor, Island Expeditions, etc). So we asked them instead what they felt were the biggest successes of the expansion. 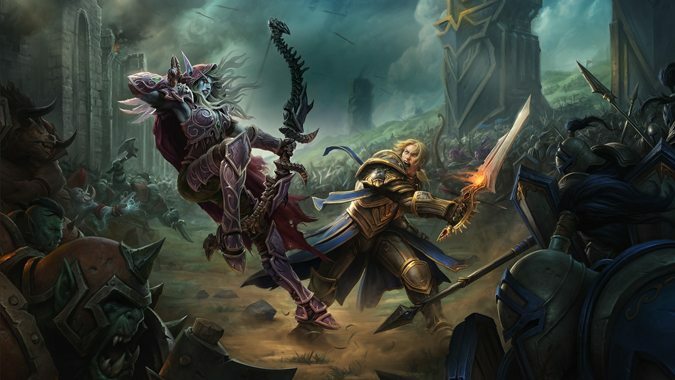 For Dawson, it was the simultaneous global launch of Battle for Azeroth. Instead of rolling out the expansion over two or three days across all the regions, they were able to flip the switch for everyone at the same time so the entire player base was able to experience it together.